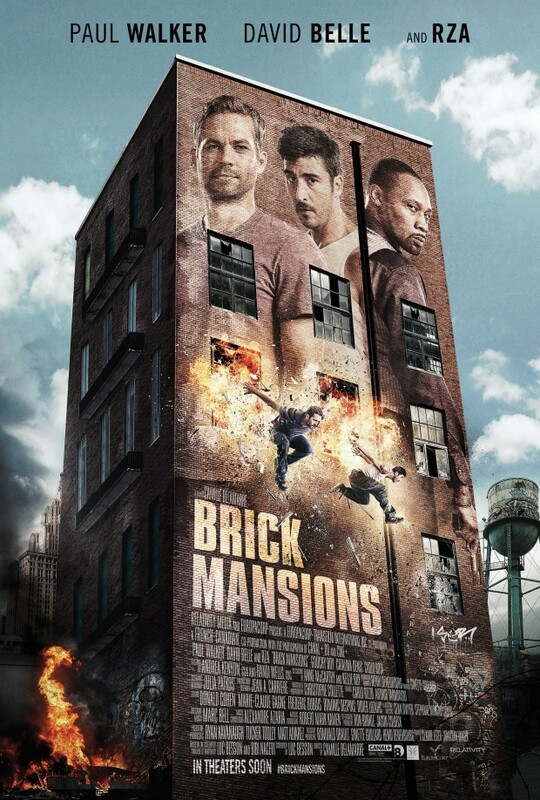 Check out the new trailer and poster for Relativity’s upcoming film, Brick Mansions, starring Paul Walker, RZA and David Belle . Get ready for an action-packed event with thrilling parkour stunts! The film is written by Luc Besson and directed by Camille Delamarre. In a dystopian Detroit, abandoned brick mansions left from better times now house only the most dangerous criminals. Unable to control the crime, the police constructed a colossal containment wall around this area to protect the rest of the city. 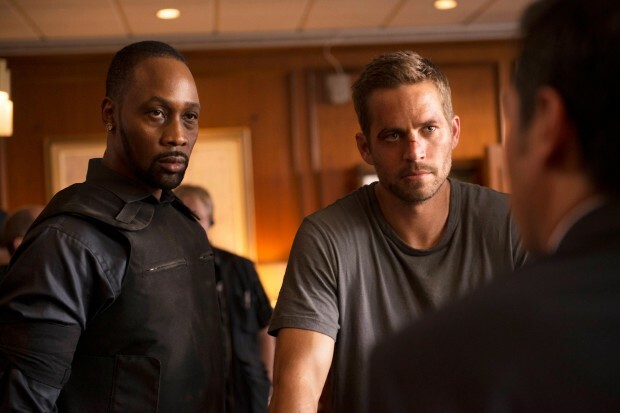 For undercover cop Damien Collier (Paul Walker) every day is a battle against corruption. For Lino (David Belle), every day is a fight to live an honest life. Their paths never should have crossed, but when drug kingpin, Tremaine (RZA) kidnaps Lino’s girlfriend, Damien reluctantly accepts the help of the fearless ex-convict, and together they must stop a sinister plot to devastate the entire city. With stylized action featuring thrilling Parkour stunts (David Belle is the co-founder of this physical training discipline), Brick Mansions puts an entertaining twist on the action genre. Brick Mansions opens in theaters nationwide on April 25th, 2014. Reproduction without explicit permission is prohibited. All right reserved. Photos & certain artwork used on MovieProNews are copyright protected and are the property of their respective owners. & other trademarks used herein are the property of their respective owners. 124 queries. 0.074 seconds.